Your stress response gives you an immediate energy boost so you can physically deal with the stressor (“fight or flight” response). In the prehistoric world, stressors were typically physical threats against which a short term burst of energy increased the odds of survival. In the modern world, stressors are typically ongoing pressures against which sustained energy is required just to keep pace. Throw in some short term stresses, like vigorous exercise, an argument or a traffic jam, and your stress response system has to work even harder. During adrenal fatigue, it can be more difficult for your adrenals to meet this demand for increased energy, with the result that your already low energy takes a further dip. * The combination of adrenal fatigue with the low blood sugar that normally occurs first thing in the morning and between meals midmorning and midafternoon can make these the lowest energy points in your day. Many people turn to caffeine and sugar to get them through these times. However, the quick energy bump caffeine and sugar provide has its downside because caffeine drives the adrenals, leaving them even more depleted over time; and sugary foods can make blood sugar spike and then drop even lower. 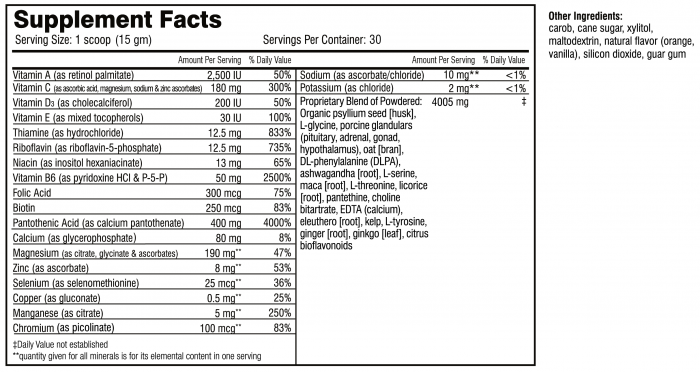 What is Dr. Wilson’s Adrenal POWER Powder? What does Dr. Wilson’s Adrenal POWER Powder do? What is the difference between Dr. Wilson’s Adrenal POWER Powder and energy or protein drinks? 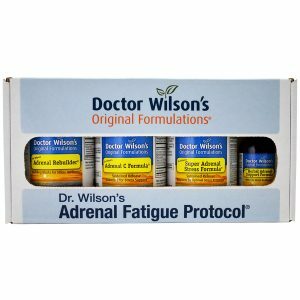 What is the difference between Dr. Wilson’s Adrenal POWER Powder and Dr. Wilson’s Adrenal Fatigue Protocol? Does Dr. Wilson’s Adrenal POWER Powder contain natural or synthetic stimulants? 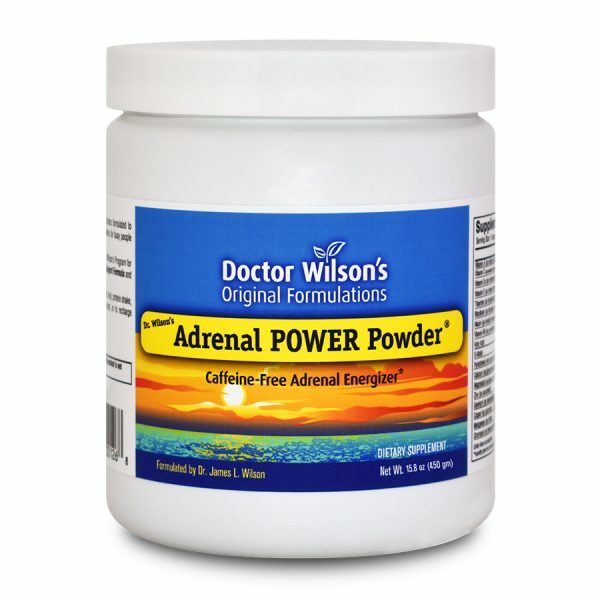 Who can take Dr. Wilson’s Adrenal POWER Powder? How quickly will Dr. Wilson’s Adrenal POWER Powder begin to work? What is the best way to take Dr. Wilson’s Adrenal POWER Powder? How long can I take Dr. Wilson’s Adrenal POWER Powder? 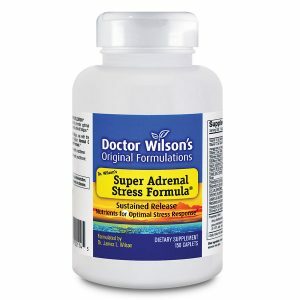 Does Dr. Wilson’s Adrenal POWER Powder lose its effectiveness with continued use? Can I take too much Dr. Wilson’s Adrenal POWER Powder? Is the quality of Dr. Wilson’s Adrenal POWER Powder reliable? What is the difference between Dr. Wilson’s Adrenal POWER Powder and energy or protein powders/drinks? I have been using Dr Wilson’s Adrenal Power Powder as an addition to my Super Smoothie formula for athletes. The combination of the Super Smoothie and Dr Wilson’s Adrenal Power Powder was part and parcel of the programme that led to their success! My husband has been telling all his patients about you Dr. Wilson and getting people your book. We have tons of people getting on Adrenal Power Powder and it’s changing their lives. You have really helped us and now we are helping others. God bless!